Buy online your Foo Fighters hospitality tickets today! A Foo Fighters tour in the UK has been announced for Summer 2018, promoting their hit album ‘Concrete and Gold’. 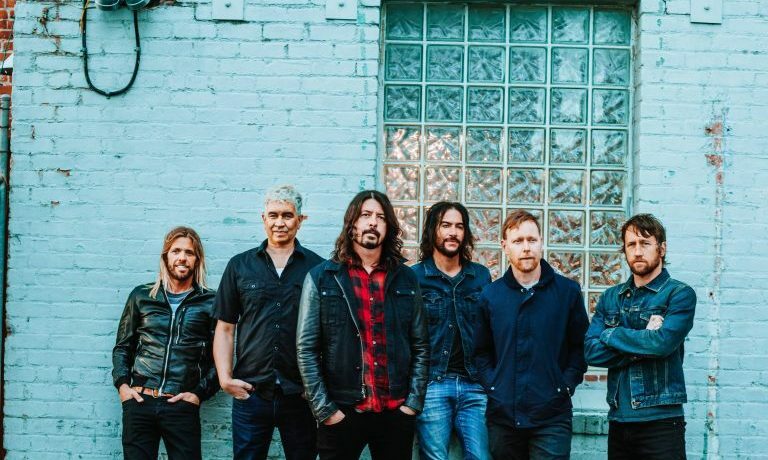 Foo Fighters track from their album Concrete and Gold called ‘The Sky is a Neighbourhood’ with a music video has already been described as a huge hit. Buy online your Foo Fighters hospitality tickets 2018, find out about hospitality packages at London Stadium and Etihad Stadium. The Foo Fighters released a few teaser singles, including the hits Run and Lah Dee Dah which they released to the public at festivals. The official release date of the Foo Fighters ninth studio album, Concrete and Gold was 22nd September 2017. Hear the Foo Fighters brand new album for the first time with VIP hospitality, book your Foo Fighters hospitality tickets 2018 today! Foo Fighters frontman, Dave Grohl, has kept tight lipped on his new album however we do know Sir Paul McCartney will feature on one of the tracks. Paul McCartney provides the drum set on one of the songs which he is said to have recorded in two takes. Other artists said to feature on the Foo Fighters new album include Alison Mosshart from the Kills and Shawn Stockman from Boys II Men. However, Paul McCartney is not the surprised pop star guest that the Foo Fighters have been teasing their fans with. He or she apparently requested to be on the Foo Fighters new album, Dave Grohl calls them one of the biggest pop stars in the world. Speculation suggests this mystery artist on Concrete & Gold could be Rihanna, Beyoncé, Lady Gaga or perhaps even Justin Timberlake. Dave Grohl has clarified since this artist is none other than Justin Timberlake, who Foo Fighters met whilst recording at EastWest studios in LA. Foo Fighters recently released independent track ‘Solider’ described as an outtake from their Concrete and Gold album – considered widely as another example of musical genius by this world-famous rock band. The Foo Fighters have been having a lot of fun putting together their new album, the cover art was revealed by a treasure hunt taking fans to each place the Foo Fighters recorded. Whatever Foo Fighters have up their sleeve, it will certainly be unforgettable. Find out the latest music news by signing up to our newsletter. A 2018 Foo Fighters tour has been announced, performing at the UK’s biggest stadiums, with two dates at Queen Elizabeth Olympic Park’s London Stadium, and one concert at Etihad Stadium. Book your Foo Fighters hospitality tickets today! Foo Fighters headlining performance at Glastonbury 2017 was critically acclaimed as one of the biggest shows of Foo Fighters career. Grohl was clearly having the time of his life, joking with the audience and with his band mates. From this performance, we can imagine a Foo Fighters tour in 2018 will be huge. 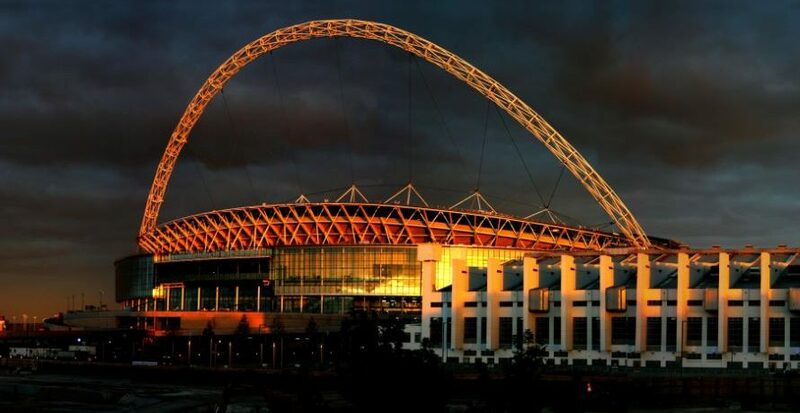 Foo Fighters played an inspired show on a revolving stage at Wembley Stadium to 86,000 people. Foo Fighters were forced to cancel dates at Wembley back in 2015, after Dave Grohl broke his leg at a concert in Sweden. It seems likely Foo Fighters will be keen to make up for this missed concert with a spectacular performance at London Stadium. Imagine watching Foo Fighters live at London Stadium, performing their new music and classic hits such as Times Like These, The Pretender and Everlong. Certainly, witnessing the 2018 Foo Fighters tour would be a once in a lifetime experience. Find out more on Foo Fighters hospitality tickets 2018 by speaking to a member of our team today, including ideal concert location and group size.